WASHINGTON — In a move certain to please conservatives, President Donald Trump on Friday added five names to his list of candidates for a prospective U.S. Supreme Court vacancy as he presses ahead with a campaign to move the federal judiciary to the right. Two of them are appellate judges who were nominated by Trump earlier this year and confirmed by the Senate: Amy Coney Barrett and Kevin Newsom. Another, Brett Kavanaugh, sits on the U.S. Court of Appeals in Washington, long viewed as a stepping-stone to the high court. The others were Britt Grant, a Georgia Supreme Court justice, and Patrick Wyrick, a Oklahoma Supreme Court justice. There is no current vacancy on the U.S. Supreme Court but three justices are 79 or older. During his presidential campaign last year, Trump identified 20 conservative candidates for the Supreme Court. Upon taking office, he named Neil Gorsuch to the court to replace the late Justice Antonin Scalia, restoring the Supreme Court's conservative majority. Gorsuch was confirmed by the Senate in April and has established himself as one of the Supreme Court's most conservative justices. Speaking at a Federalist Society conference of conservative legal advocates, White House Counsel Donald McGahn said Trump is "very committed" to appointing judges who are "committed originalists and textualists," referring to a legal philosophy that relies on the actual wording of laws and the original meaning of the U.S. Constitution. "They all have paper trails. They all are sitting judges. There is nothing unknown about them. What you see is what you get," McGahn said. The five jurists, all with strong conservative credentials, were added to the list with input from conservative leaders, and should another seat on the court open up, Trump will nominate a candidate from the updated list of 25, the White House said. Leonard Leo, an advisor to the president on Supreme Court nominations, said Trump thought it was time to refresh the original list. "When you're committed to picking from a list you want to make sure it's as complete as possible," Leo said in an interview. Kavanaugh, who was appointed to the federal bench in 2006 by Republican former President George W. Bush, served as a White House counsel under Bush and worked as an assistant to Kenneth Starr, the independent counsel who investigated Democratic former President Bill Clinton during the Monica Lewinsky scandal. Grant and Wyrick both joined state challenges to the Affordable Care Act, Democratic former President Barack Obama's signature healthcare law, and Obama regulations aimed at reducing emissions from coal-burning power plants, said Carrie Severino, chief counsel of the Judicial Crisis Network, a conservative legal advocacy group. 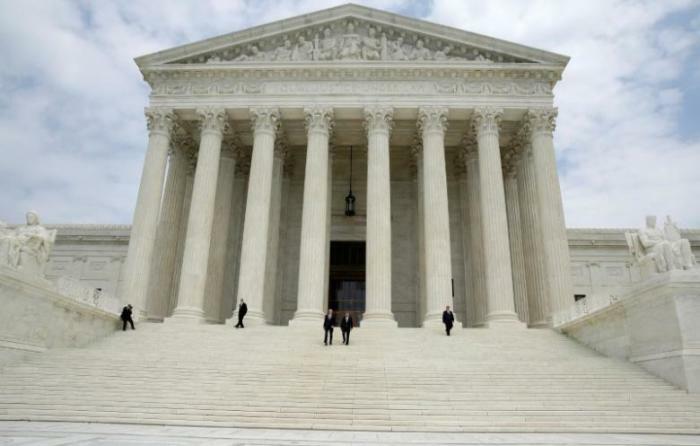 The court currently consists of five conservatives and four liberals, with conservative Justice Anthony Kennedy sometimes joining with the liberals on high-profile issues such as gay rights and abortion. At 81, Kennedy is the second-oldest justice on the court behind liberal Ruth Bader Ginsburg, 84, and some former Kennedy clerks have said he is considering retirement. Liberal Justice Stephen Breyer is 79. Should any of those step down, Trump would get a historic opportunity to shape the court in a more conservative direction for decades to come. Supreme Court appointments are lifetime jobs. Conservatives criticize the federal judiciary as too liberal, and Attorney General Jeff Sessions at the same conference lashed out at "activist judges." Trump already has taken steps to make the federal judiciary more conservative, with 14 judicial appointees already confirmed by the Senate and more in the pipeline. Catherine Glenn Foster, president of the anti-abortion advocacy group Americans United for Life, said she was pleased with the new selections. "From their known records they tend to be strong on recognizing the protections for life," she said in an interview.